An author of collection D.I. Bronshtein – was a Soviet grandmaster, known chess analyst. The book contains all the parts of the tournament contenders, which was held in Zurich in 1953. In the creative for this tournament was one of the most meaningful in the postwar years. In the comments, the author focuses on parsing the middle of the game. The book is considered one of the best in chess literature, and interest in it over the years has not diminished. All 210 games from the greatest tournament since World War II. Smyslov, Bronstein, Keres, Reshevsky, Petrosian, 10 others; perceptive annotations by Bronstein. Read full review, book in .pdf is included. “My system” was required reading of many outstanding players past and present. The blockade and prevention, erosion of pawn chain base and maneuvering, excessive protection and mysterious course – these and many other devices have been placed on shelves and the famous educator Grandmaster Aron Nimzowitsch. Written by a living, figurative language, it is not just a classic, but really brilliant textbook positional play. Chess seriously study it, learn to deep penetration into the mysteries of the ancient game. The book will be useful as a chess player, only beginning to climb the ladder of classification, as well as their more experienced colleagues. Get My System in .pdf for evaluation purposes only at the bottom of our full review! This book contains not only the best party of former giants studied again with the help of a computer, but also “hot spots” of chess history – critical, crucial moments of matches at the World Championship. Champions in chess replaced for various reasons, and yet the main of them was more purely evolutionary: the continuous and rapid development of the game itself. This book has its own sharm. It contains so many rare historical photos of the 19-th century, it just blows your mind! One could understand that long time ago chess was a game of kings. Nowadays even diplomats look more unofficial and wear more casual dresses than an average top chess player two centuries ago. Its hard to explain, but everyone should check out this series of books just for included photos. Second, revised and enlarged, edition of the book begins a series of “Higher School of Excellence” Honored coach of the USSR, Russia and Georgia’s Mark Dvoretsky. This is the first in the world literature textbook for chess players of the highest quality – up to and including grandmasters. The book was written in cooperation with other well-known Russian grandmaster and author Artur Yusupov. On the top of his carrer he reached a final round of Candidates Matches and played with Anatoly Karpov. Why this work is so authoritative amoung strong chess players? It reveals many secrets of Soviet Chess School. You will become familiar how to improve an openings repertoire, what is necessary to remember about endgame theory, how to find out the most weak side of player’s talent and many others ideas. Here is the fastest, most efficient, most enjoyable book on chess ever compiled. As the student, you start at the beginning and progressively develop your skills as you apply Bobby Fischer’s principles and learn how to play Chess the Bobby Fischer way. When you finish this book, you will not be able to beat the greatest Chess player the world has every known, but you will be a much better chess player than you were. Bobby Fischer was born in Chicago Illinois, in 1943. He was introduced to Chess and learned the moves when he was six years old. In his teens he achieved international prominence by winning every United States Chess competition for four years running without the loss of a game. He was the youngest International Grandmaster in Chess history. The story of chess career of Paul Keres can take more than one book. And the most valuable source of information can be considered the thoughts of an author on his great sport career. The world first heard of young Estonian in 1937 after gaining the first place in tournaments in Margret and Ostend. 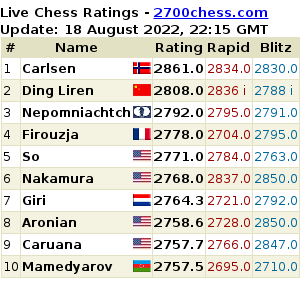 After this event, it became clear that there is another contender for the chess crown. Apparently, only the beginning of the World War II prevented this to happen. The most benefit will find chess players with dynamic style piece play. It was one of the strongest side of Paul Keres. Each chapter begins with a detailed description of some period of his career. Read full review, link to .pdf is available. A modern classic. The first edition of Dvoretsky’s Endgame Manual was immediately recognized by novice and master alike as one of the best books ever published on the endgame. This second edition is revised and enlarged, now over 400 pages, covering all the most important concepts required for endgame mastery. Alexander Alekhine comments his best games (1909-1937, including his best games of 2nd match vs Euwe). The foreword of Kasparov (who is a most famous “pupil” of Alekhine, he studied Alekhine’s books and games very much in his youth). Books of Alekhine teach very successfully, they has a great clarity of explanations. Alekhine is one of few real chess philosophers in the history, he is able (using brilliant abstract ideas) to explain very complicated situations on board. Probably, one of the best ways to improve your chess understanding if you are a qualified amateur (especially of active style), pay attention also to “107 Great Chess Battles”. 118 games at all. Useful notes of elite GM John Nunn. Many experts consider that it’s the best book about tournaments. 110 games. Took part in the competition: Capapablanca, Em. Lasker, Alekhine, Marshall, Bogoljubov, Janowsky, Reti, Maroczy, Tartakower, Ed. Lasker, Yates. In 1975, Anatoly Karpov was declared chess champion of the world when the eccentric Bobby Fischer declined to defend his title against his Russian challenger. “Tolya” went on to prove that he was no paper tiger over the next three decades, during which he held the FIDE world championship for 17 years and won more than 160 major chess tournaments, an all-time record. The unique career of the Russian grandmaster can be appreciated from these 100 games, each of which is annotated by Karpov. All chess enthusiasts can profit and learn from these incredibly matches.